A large scale sculpt of the favourite engine was carved on the Propability 3D robotic arm in pieces. Put together and fibre glassed before being sanded and sprayed in Pantones provided. 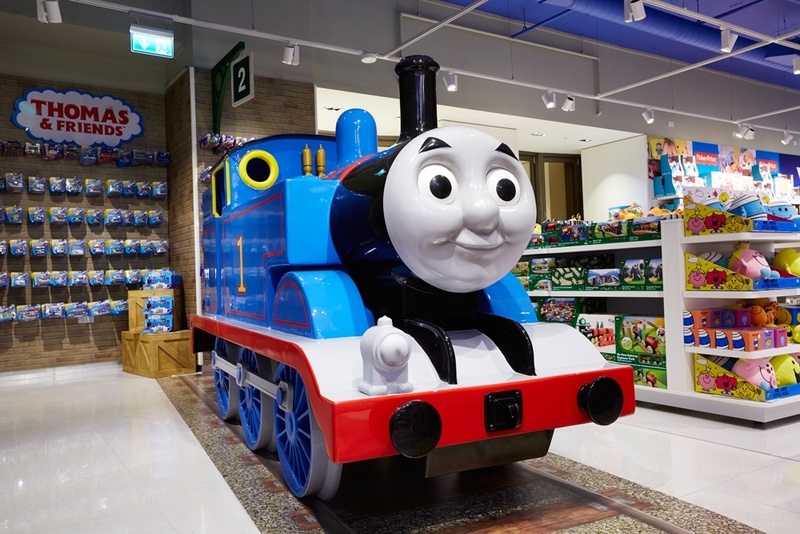 In addition we provided the surround for Thomas – setting the scene of Sodor in-store together with brick panelling and a track. Shed style cladding in MDF with high gloss green to finish as well as brick work which was scenically painted also helped to provide an immersive feel to the area. We also manufactured a 'Kevin The Crane’ primarily in timber and MDF, a carpentry work of art.